I always feel so lucky when I stumble upon a Hericium in the wild (don’t you?). 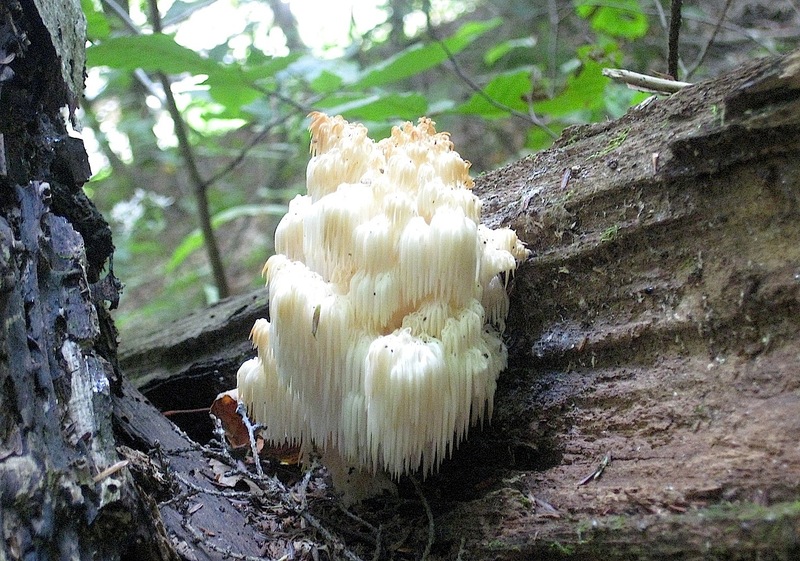 This mushroom is Hericium americanum, or Bear’s Head Tooth, and is in the same genus as the neurotrophic, cognition-enhancing Lion’s Mane fungus. The latter produces a spine-bearing unbranched fruiting body, while Bear’s Head Tooth is branched with spines reaching up to 4 cm in length. This edible mushroom has no toxic look-alikes, and makes for great eating (as long as you don’t find it too majestic to harvest). Look for Bear’s Head Tooth on dead hardwood logs and stumps, summer through fall. This beautiful specimen was found northwest of Pittsburgh on September 20th, 2014.